Parkers are delighted to offer for sale this attractive four bedroom double fronted family home ideally situated within the popular location of Poundbury. The property offers accommodation that is beautifully presented throughout, arranged over three storeys comprising two reception rooms, a spacious kitchen/diner, modern family bathroom and en-suite facilities serving two bedrooms. In addition to its favourable size and location the property benefits from an enclosed garden to the rear and a double garage. 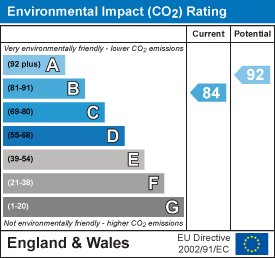 EPC rating B.
Poundbury is an urban development of the County Town of Dorchester, and is Prince Charles's vision of the development of new communities in the 21st century. Designed around the residents rather than their cars, it is intended to be a sustainable development where it is possible to meet a higher proportion of daily needs on foot, rather than relying on a car. Within walking distance there are Waitrose, The Duchess of Cornwall Hotel and Restaurant and an ever-growing range of bistros, coffee shops, beauty salons, dress shops, hairdressers, dentists, a medical centre, a garden centre and a mature Woodland Park. The kitchen diner enjoys a social feel and boasts a comprehensive range of modern wall and base level units that provide ample storage options with quartz work surfaces above. Plentiful natural light is gained via a dual aspect with French doors leading to the garden. The property benefits from a separate dining room. 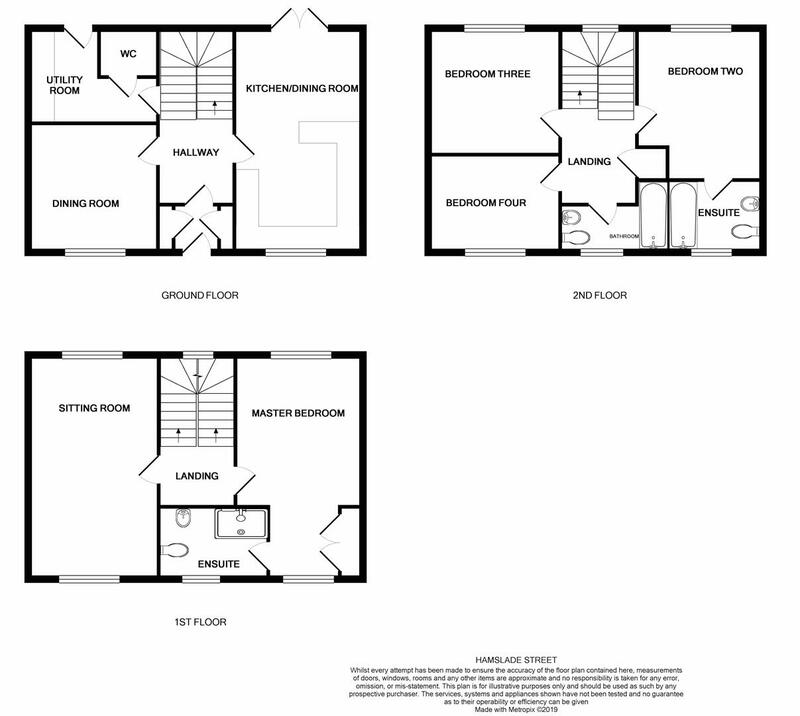 Also situated on the ground floor is a utility room fitted with additional work surfaces, space for appliances, and a cloakroom with a suite comprising a low level wc and a wash hand basin. Stairs from the hallway rise to a landing area that offers access to the sitting room and master bedroom. A light and spacious sitting room with high ceilings and plentiful natural light received via a double aspect. The room features an attractive coal effect gas fire with stone surround. The third floor consists of three further bedrooms, one of which benefiting from en-suite facilities and a tastefully fitted family bathroom. Externally, the property boasts a low maintenance walled garden with rear gated access and a door to the double garage. There is a patio area abutting the property, ideal for alfresco dining. There is an annual Manco charge with charges varying between £110 and £160 dependent upon location. 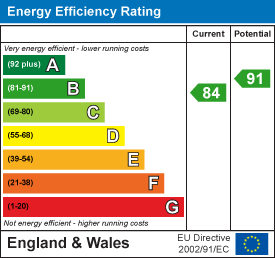 West Dorset District Council, South Walks House, South Walks Road, Dorchester, Dorset, DT1 1UZ, Tel: 01305 251010.